Do You Ever Imagine Actors/Actresses as Your Characters? I’m sure most of us have wondered who would play the characters we create should any of our books ever become films. Few books ever do and I’m sure most of us realise that. However, it’s fun to speculate on who might play them should that eventuality ever come to pass. Sometimes though, I can’t help but imagine certain actors and actresses playing those characters to help me visualise the events and the story. I have only done it a couple of times. Earlier this week, my girlfriend and I were talking about Kate, one of four protagonists from my horror comedy Dead Heat. I hadn’t really thought about Kate to the extent of choosing an actress. 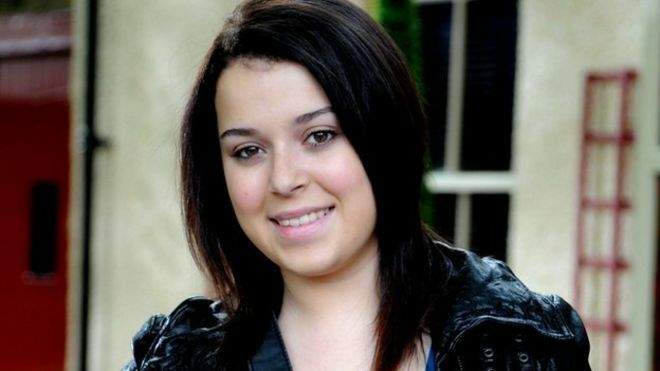 After some scouring around, I decided that actress that looks most like Kate would be Dani Harmer (see below). Kate has lighter hair and a rounder face but they are about the same build and height. The only description I give of Kate is that she has brown hair, and is short and curvy. That got me thinking about the others from Dead Heat. I describe Jim as tall and a little skinny. Although I didn’t imagine this particular actor, I kind of thought of McKenzie Crook (Gareth from The Office). Mike and Tony don’t really look like anybody famous. Mike I describe as being slightly overweight and nothing else beyond that – he could be almost any actor, really. This week I’ve spent quite a bit of time editing Children of Phobetor. I have always imagined Liam Neeson as my Greek money-lending former gladiator Methodius. Granted, Liam Neeson does not look Greek in the slightest, I just imagine Methodius to have those rugged looks, deep voice and imposing stature. Saturnia (the only gladiatrix) is an interesting one. I described her as having “darker skin, but definitely Roman stock”. I can’t help but imagine Bond’s most recent Miss Moneypenny Naomie Harris in this role (also played Tia Dalma in Pirates of the Caribbean and Selena in 28 Days Later) – see left. Harris is black though; I don’t imagine Saturnia as black, just as having darker skin than the typical Mediterranean. But what about Salmonweird ? I confess I have not given it much thought even though it’s one of the most vivid pieces of fiction I’ve ever written with some colourful and well-developed characters. Some people have already read it, so I guess this section is aimed largely at them. After spending 10 minutes trawling the web, I feel the closest approximation for Kensa, my Iron Age Warrior Queen, would be somebody striking like Jessica Chastain or Alicia Witt. I’ve thought long and hard about Karl, the detective protagonist. The closest approximation I have is David Morrissey (The Walking Dead, Doctor Who, Cape Wrath – see right) although perhaps slightly too young by about 5 years or so. It’s always a fun project to speculate though. Tell me about yours, did you ever visualise certain actors or actresses playing your key characters?